Riding a bike down Kamo River and discovering the beauty of Kyoto again! 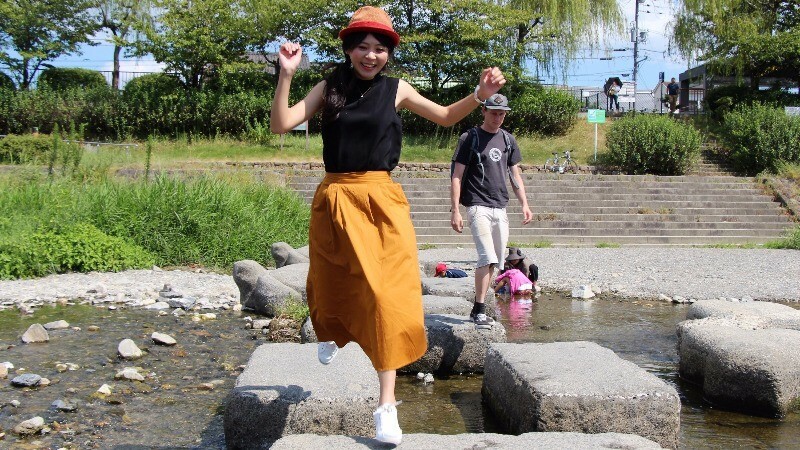 Cycling, running, picnicking, and hopping on turtle stepping stones by the Kamo River makes you almost feel like a real Kyotoite! 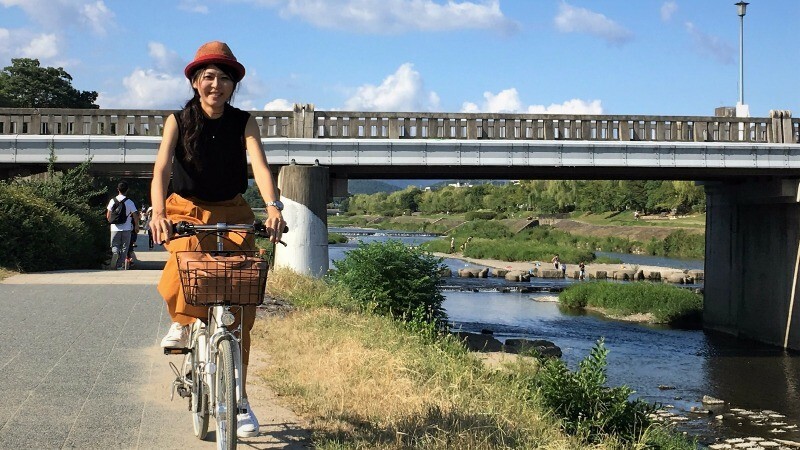 If you come to Kyoto, you must take a walk and ride a bicycle by the Kamo River! 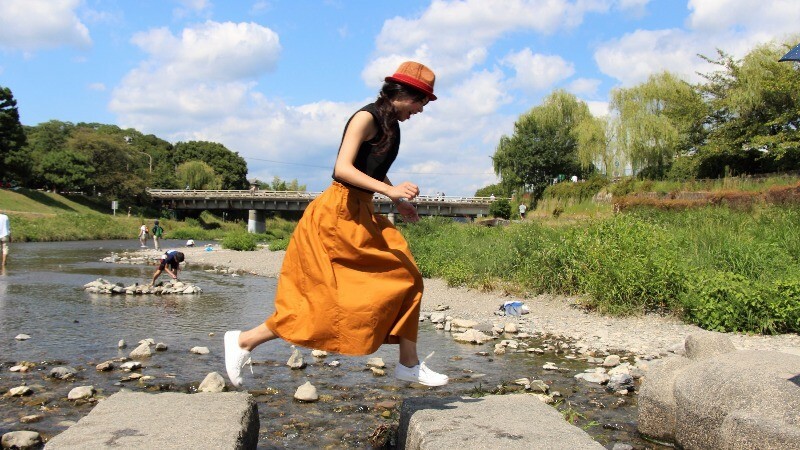 This river runs across Kyoto, and by it you get to see beautiful nature and also some wild animals. The river looks exceptionally beautiful every season, with the cherry blossoms in spring, riverside dining platforms in summer, red and yellow leaves in autumn, and with the snow covering everything in winter. So, come join Vanessa on her journey to the Kamo River! 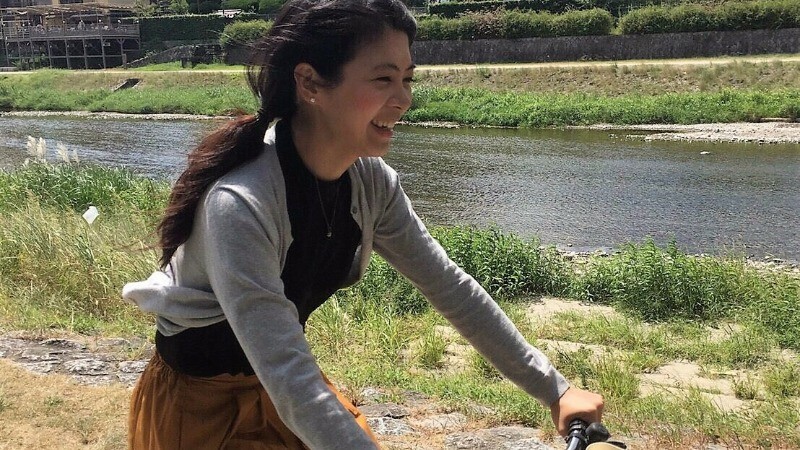 Running, riding a bike and a picnic are all in a day’s work for a reporter of Sharing Kyoto! 7:30 a.m. Rise and shine, time for a run! Good morning, Kyoto! It’s quiet and the weather is nice; what better way is there to start a day than with a run! 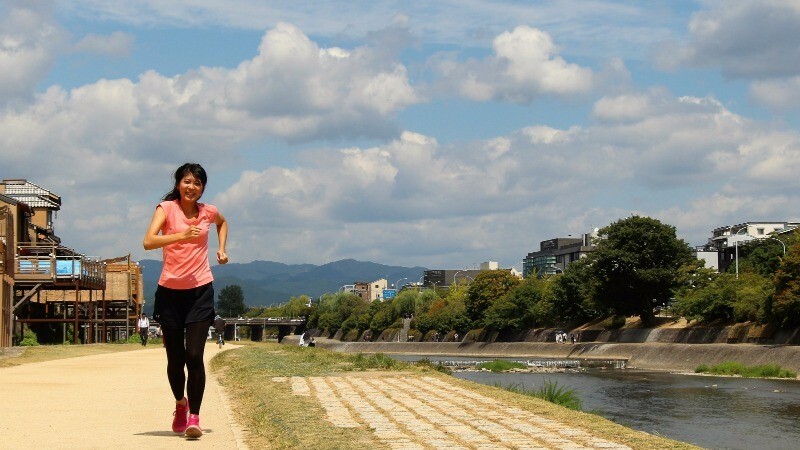 Really many people go running by the Kamo River in the morning. I think that by running in the morning you get to see a different Kyoto. 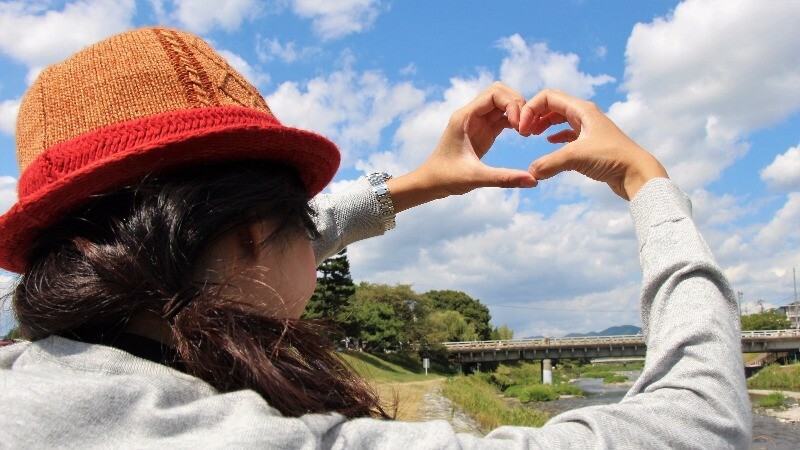 Start from around Sanjo Street, and head north toward Demachiyanagi, and before going back to your hotel, rest a bit by the river and enjoy the great scenery. 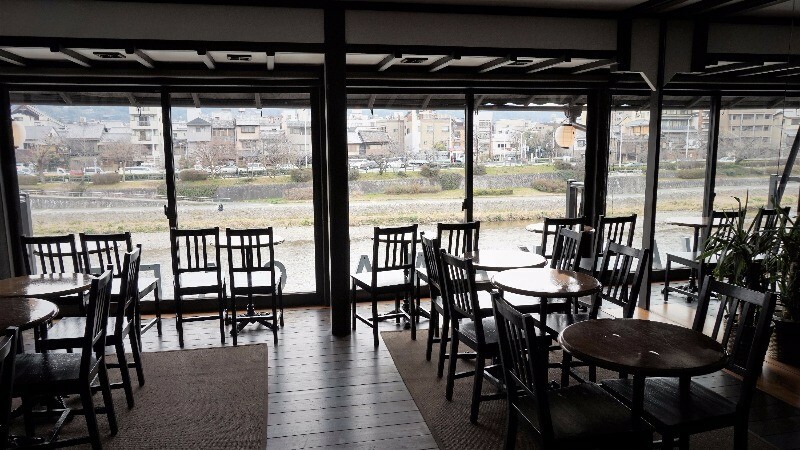 After having a shower, it’s time to have breakfast, and I’m sure you’d want to have it in a café from where you can see the beautiful scenery of the Kamo River. 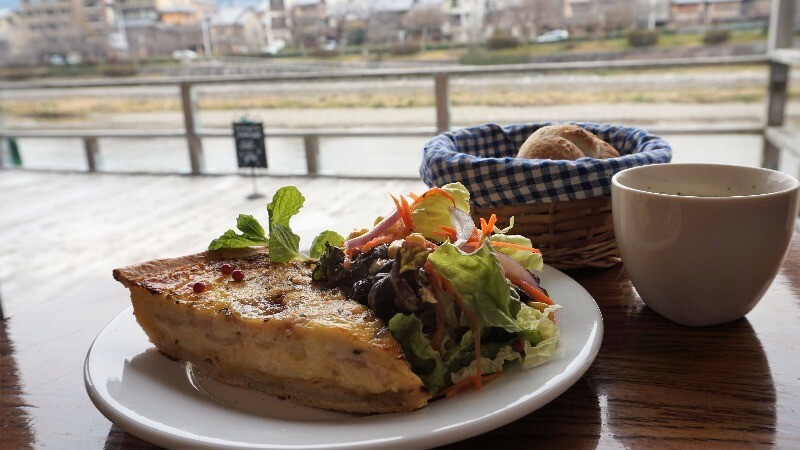 This quiche is full of healthy vegetables, and when you get a cup of fresh coffee with it, it’s sure to kick start your day. This is an almost too luxurious a way to enjoy the morning! 11:30 a.m. Rent a bicycle! Besides running, cycling is also a great way to enjoy the Kamo River! 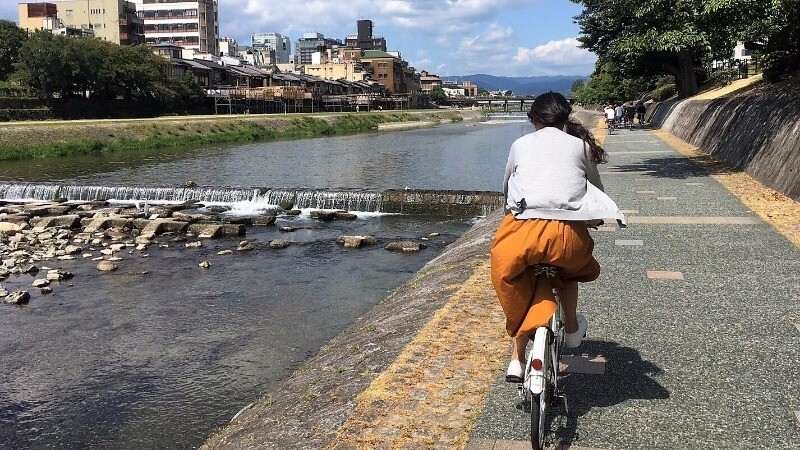 You can ride your bike through the alleys of Kyoto to the Kamo River and from there, head north. So, join me, and let’s continue on our little Kamo River trip! 12 noon: World Heritage Site Kamigamo Shrine One of the oldest shrines in Kyoto, Kamigamo Shrine has many huge trees on its premises, a small river and a beautiful bridge over it, and the atmosphere is serene and quiet. Kamigamo Shrine is the place where one of the great festivals of Kyoto, Aoi Matsuri, ends its procession. 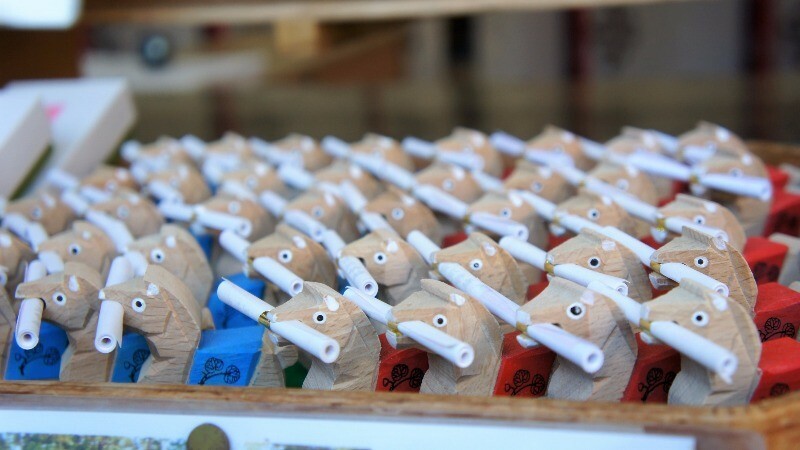 Test your luck by getting a fortune slip horse! You shouldn’t look in a gift horse’s mouth, but you can check out what this horse has in its mouth. 1:30 p.m. Jump, jump, jump! 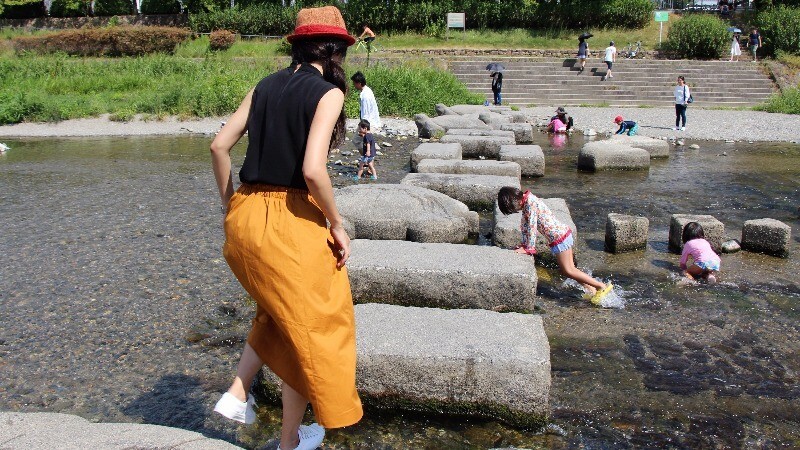 These jumping stones are by the Kamo Delta Island, and you always see people jumping on these stepping stones. You can of course take a bridge over the river, but these stones are much more fun! I felt like a child again jumping on these stones. Jump girl, jump! Jumping on these turtle stepping stones is so fun that before you notice it, an hour has gone by. This is also a great place to take pictures! 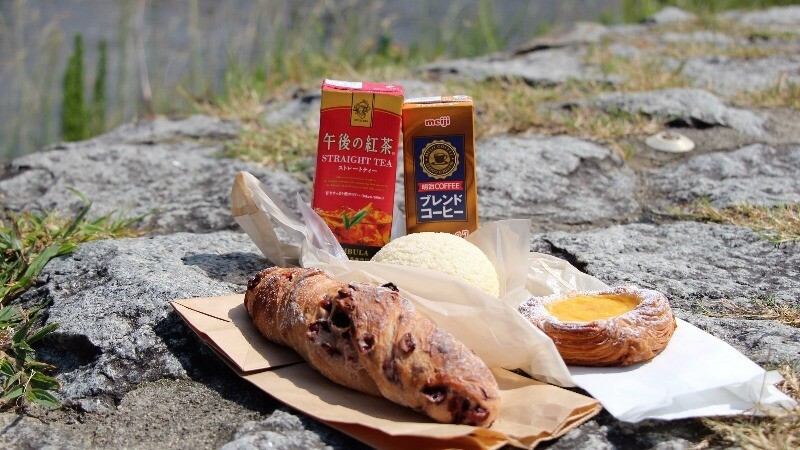 After parking the bicycle and jumping on the stones, it is time for a picnic lunch of pastries, black tea, and coffee. 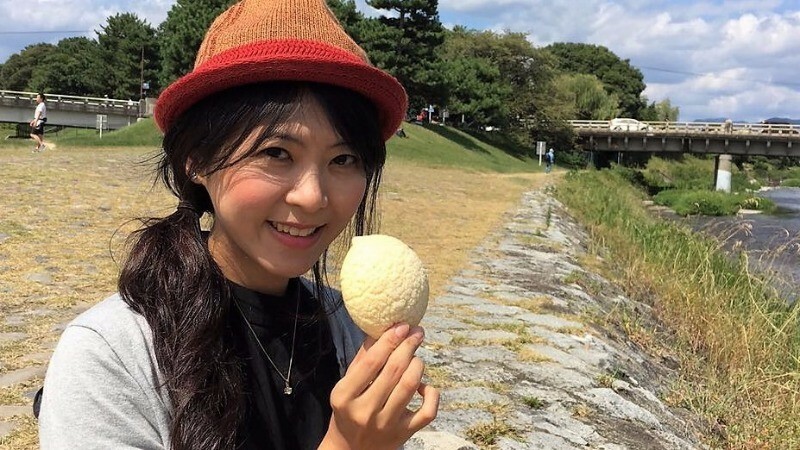 This is a Japanese treat called melon bread, although it has no melon in it, it works wonders if your sweet tooth is aching! 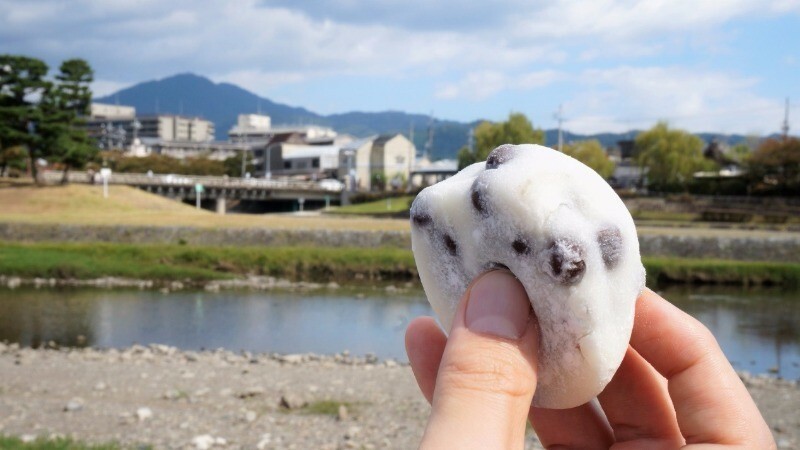 There is also one sweets shop you cannot leave out, Demachi Futaba, the Japanese rice cakes they sell are pleasantly sticky and a little bit salty, and of exceptional quality. 4:00 p.m. 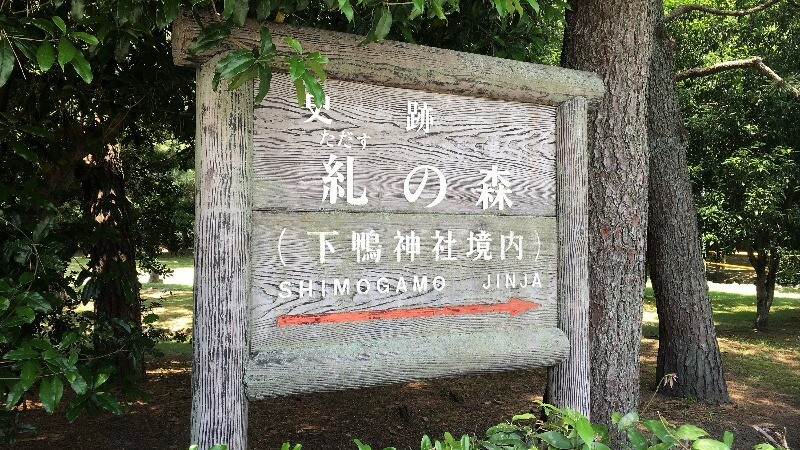 The Forest of Atonement and Shimogamo Shrine Park your bicycle in the shrine’s parking space, and head to the Forest of Atonement and enjoy the nature. 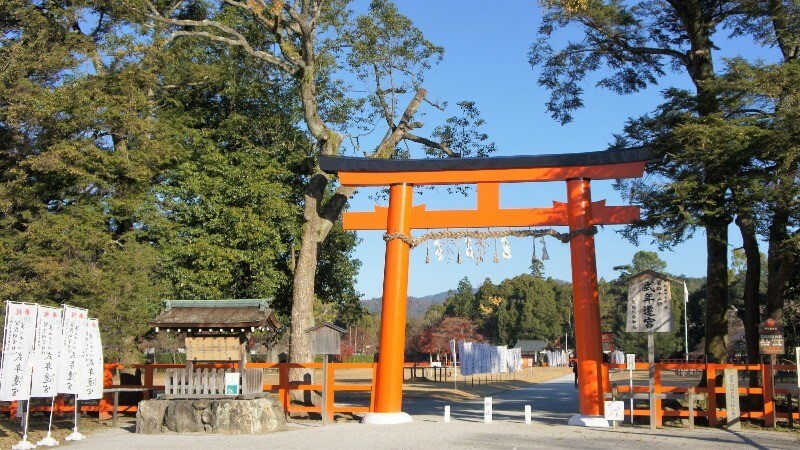 After walking through the forest, you get to see the vermilion gate of the shrine. 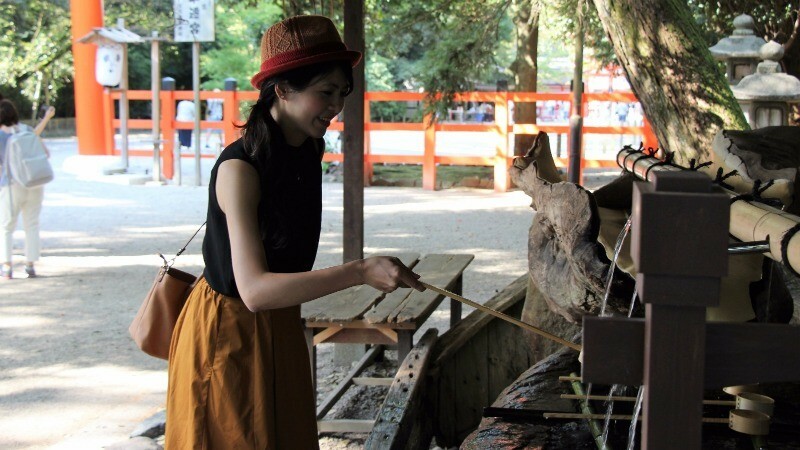 Before going inside the shrine, you are supposed to purify your body by washing your hands. So, find the dragon spewing forth water, get some water on the ladle, and pour it on your hands. 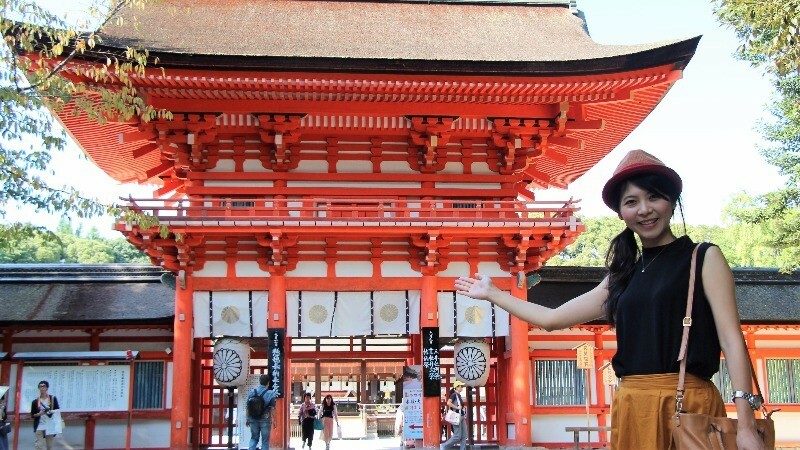 Inside Shimogamo Shrine there is an altar where you can pray for good marriage luck, so, in we go! 5:00 p.m. Head back toward Sanjo and return your bicycle So, time to end our bicycle journey, return the bike, and find a place to have dinner by the Kamo River. 6:00 p.m. 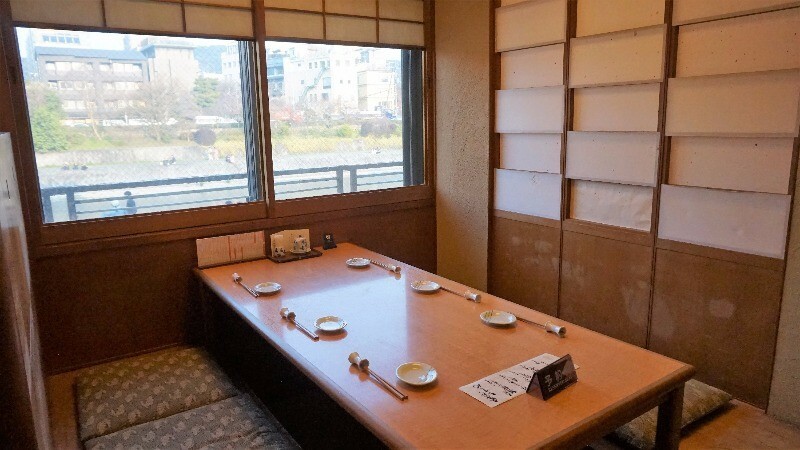 Enjoy fine dining by the Kamo River There is a nice restaurant called Kappa Sushi by the Kamo River, where you can have excellent sushi and enjoy a great view of the river. 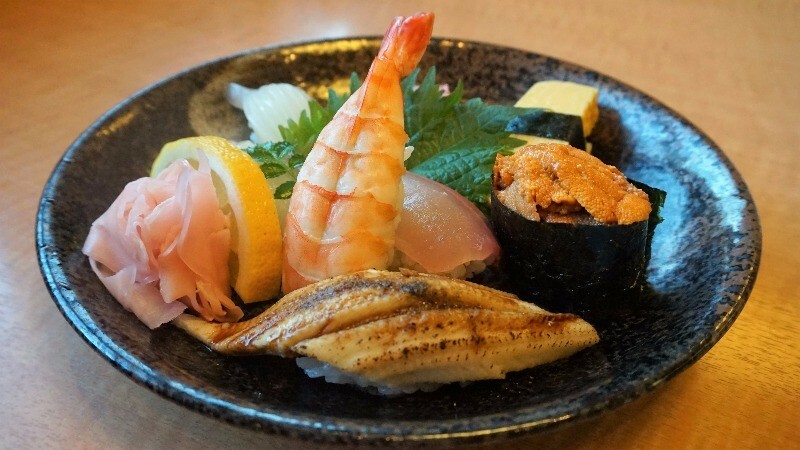 The sushi here is made by sushi artisans who make the simple ingredients of sushi shine. 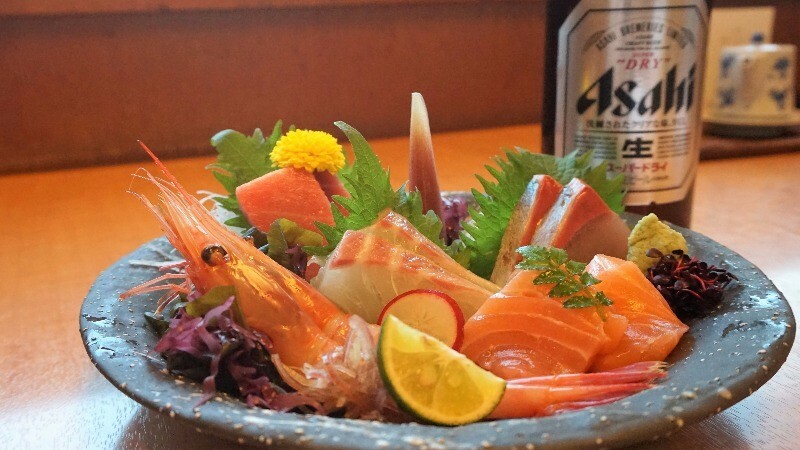 The sweetness of the fatty fish is the perfect way to end your day at the Kamo River. This is what Edgar Allan Poe wrote about a river, and although his poem may be about the river being beautiful because a beautiful woman is reflected on it, I think the beauty of the Kamo River can be expressed with these words too. The river is fair, and there is no river I like more than it! No matter which season you go to the Kamo River, it’s always beautiful. Especially in the morning, when the air is at its crispest, going for a run by the river, and then a picnic by it, is one of the best ways of spending a day I can think of.